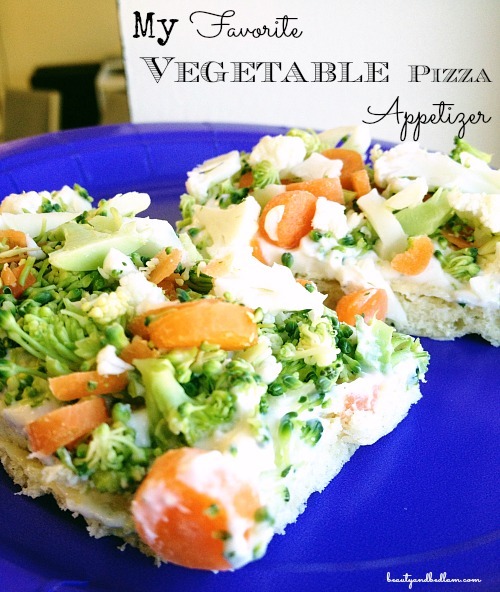 For many of us, this delicious Cold “Veggie Pizza Appetizer or Veggie Bars” recipe created with crescent rolls, cheese, veggies and an amazing ranch cream cheese spread has graced our tables for years, but just in case it hasn’t, you definitely need to pull out this recipe soon. 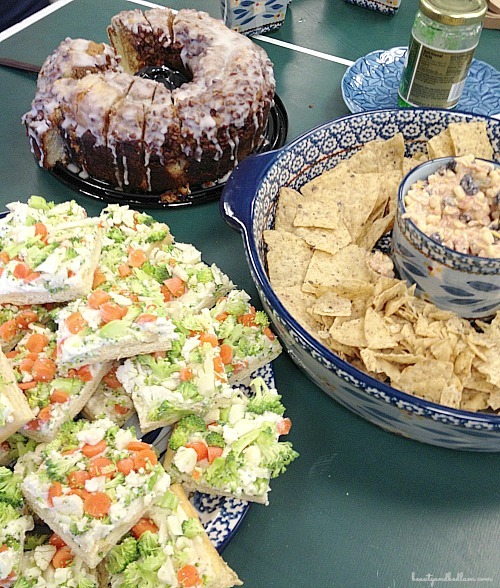 It’s always one of our “Go To” recipes for any type of gathering and everyone loves it. I can’t believe I haven’t posted it before now! Shameful! There are so many variations to this recipe, especially depending on the type of veggies that are in season or which ones your family prefers, so know that the recipe below is just a recommendation. You can decrease the amount of cream cheese or mayo and increase the amount of veggies. Just play with it until it’s your favorite as well. It’s a very forgiving recipe and aren’t those the ones we all love? Yes, it’s true. You can not goof up this recipe. Have fun adorning it with your favorite toppings, but be warned, this goes fast (especially if I am anywhere within reach)! Summary: This delicious Cold Veggie Pizza Appetizer with Crescent Rolls pleases a crowd every time. Spread Crescent rolls onto large cookie sheet. Mix cream cheese, mayo and ranch dressing. Sprinkle veggies on top, one at a time with tomatoes last. I make this frequently and it is always a hit. In fact, I think I’ll make it for the New Year’s Eve get-together. Thanks for the reminder! After spreading your cream cheese/ mayo mixture, cut your squares before adding the veggies.